Unfortunately, because of the uncertainty surrounding the prior research done that warranted the aforementioned retractions, JAASEP has made the professional decision to retract all of Dr. Chia’s articles published in JAASEP in order to protect the integrity of our journal. Chia, N. and Ng, A. (Summer, 2008). Effectiveness of sentence-by-sentence self-monitoring (SSSM): A strategy to improve reading comprehension of children with nonverbal learning disability (NLD). Journal of the American Academy of Special Education Professionals, 3(2). Tin, Y., Chia, N. and Wong M.E. (Fall, 2008). Understanding dyslographia (Chinese dysgraphia) and what is known about the disorder. Journal of the American Academy of Special Education Professionals, 3(3). Chia, N. and Wong, D. (Spring, 2009). What do brothers and sisters think? An investigation of expectations of siblings with ASD. Journal of the American Academy of Special Education Professionals, 4(2). Chia, N. (Spring, 2009). Teaching spelling to Singaporean Chinese children with dysorthographia in English language: Lexical versus lexical phonological approach. Journal of the American Academy of Special Education Professionals, 4(2). Chia, N., Kee, N., Watanabe, K., and Poh, P. (Fall, 2009). An investigation on the effectiveness of dolphin encounter for special children (DESC) program for children with autism spectrum disorder. Journal of the American Academy of Special Education Professionals, 4(3). Wong M.E. and Chia, N. (Winter, 2010). The effect of impaired visual exteroception on body schema in the drawing and 3-D plasticine modelling of human figures: A case study of three preschool children with total congenital blindness due to retinopathy of prematurity. A case study. Journal of the American Academy of Special Education Professionals, 5(1). Kee, N. and Chia, N. (Spring, 2010). Teaching arithmetic operation of division with Montessori division board set to two children with autism spectrum disorders: A case study. Journal of the American Academy of Special Education Professionals, 5(2). Chia, N. (Spring, 2011). Teaching Singaporean children with autism spectrum disorders to understand science concepts through autistic analysis/synthesis (ALA/S). Journal of the American Academy of Special Education Professionals, 6(2). Chia, N. (Spring, 2012). What is LD in special needs education? Journal of the American Academy of Special Education Professionals, 7(2). Loh, C.H. and Chia, N. (Winter 2013). Effectiveness of semantic cloze procedure to improve reading comprehension of weak readers in a primary school. Journal of the American Academy of Special Education Professionals, 8(1). Chia, N. (Winter 2014). Specific language impairment: Defining the disorder and identifying its symptoms in preschool children”. Journal of the American Academy of Special Education Professionals, 9(1). We contacted Faber last year, who told us she raised questions about Chia’s work after reviewing it for her own project. However, Chia said he couldn’t answer all her questions, since an organization had collected the primary data, and participants’ identities were protected by a confidentiality clause. It seems that the papers have been removed entirely from the journal. The titles are listed on a table of contents, without any language indicating that they have been retracted, but contain no links to abstracts or PDFs. 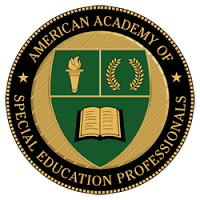 (Some of the PDFs are available via the American Academy of Special Education Professionals, without watermarks indicating their status; we found them via Google). We’ve reached out to JAASEP for comment, and will update this post if we hear back. We have been unable to find current contact information for Chia.